Western neglect of Afghanistan after the Soviet withdrawal brought about a growth of terror in the country, Afghan President Hamid Karzai believes. This in turn led to both 9/11, and terror attacks in Russia, he insists. ­Hamid Karzai confirmed international forces, American in particular, will be present in Afghanistan following the official troop withdrawal of 2014 till at least 2024. Their presence will be based on a “security agreement to be signed within a year”. 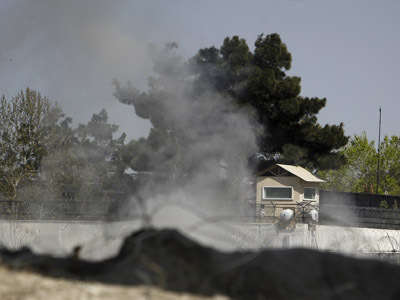 The Afghan president stressed there will be no private security firms or mercenaries present in the country, and “an agreement on that has already been made with the US”. To replace private security companies, the Afghan government has established “a Public Security division, a branch within the Ministry of Interior, that will look after projects, diplomatic missions, and different interests, other than diplomatic and commercial, for the international community in Afghanistan,” with the Afghan police force. Karzai dismissed the idea of using drones on Afghan territory, saying this is a “Pakistani issue”: drones are being used from, and over Pakistani territory. Comparing the Soviet and American presence in the country, Hamid Karzai said that the Soviets brought the country military capacity, as well as the best development projects and more education for the Afghan people. The American presence enabled millions of refugees to come back to Afghanistan, he said, adding that the economic development of Afghanistan has been much better during the US presence. The majority of Afghan Taliban fighters are not terrorists, insists Karzai. They are “people who’ve been driven out of their homes, out of their country by circumstances, and they must be brought back to settle in their country”. Still, he says it is important to distinguish between the Afghan and Pakistani branches of the Taliban. All Afghans are patriots of their country and therefore no division of the multi-ethnic country is possible, Karzai stressed. “Afghanistan is the most united country in the region”, he added. As for prospects for the future, the President of Afghanistan said he expects his country to be at the center of business activities in the region. The withdrawal of the international forces from Afghanistan in 2014 will no doubt have an economic impact, but “the overall effect will be good on the Afghan economy”, Karzai stressed. The increasing income from the extraction of mineral resources shows good prospects, too. Full text of the Russian media interview with the President of Afghanistan Hamid Karzai. ­Yevgeny Poddubny, Russia 24: Mr. President, thank you for joining us, and [the] first and main question is, what do you think about the situation in Afghanistan after [the] withdrawal of the international forces? 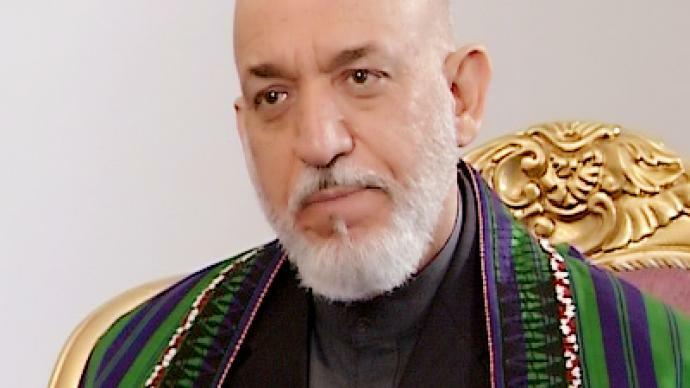 Hamid Karzai: The withdrawal of the international forces from Afghanistan will not have an impact on the overall security of Afghanistan, provided that the assistance – financial – to the Afghan economy and the training and the equipping of the Afghan security forces continue, and the engagement of the international community in Afghanistan continues as it is today. In that case, the withdrawal of the forces will not have a negative impact. 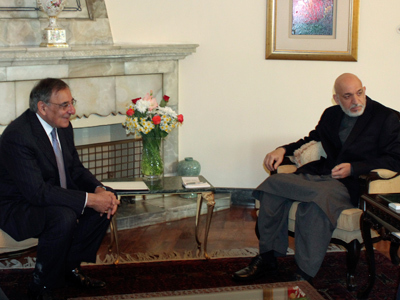 Rather, it will have a positive impact on the security situation in Afghanistan. Andrey Greshnov, RIA Novosti: Mr. President, my question is, do you really consider Taliban, Hesb-e-Islami and [the] Haqqani Network ‘terrorists’? Because 25 years before, the very people – I mean Gulbuddin, Haqqani – were fighting against the so-called Soviet ‘invaders.’ And everybody called them ‘holy fighters,’ or Mujahideen. Today the same people are fighting against [the] NATO and American invaders, and everybody calls them ‘terrorists.’ What’s the difference? HK: Well, we don’t call all of them ‘terrorists,’ first of all, from the Afghan perspective. This is a Western perspective that calls some of them ‘terrorists.’ We differentiate between them. There is no doubt that that Hesb-e-Islami and the Haqqani Network and some of the Taliban were the Mujahedeen – together with us: we were all there in the Jihad against the former Soviet Union. When – and this will be a bit longer answer, so please bear with me. When the Jihad finished, when the Soviet Union withdrew, we came to Afghanistan – the Jihad ended, and we should have then begun to rebuild Afghanistan and reconstruct this country and put on a path to progress and stability. Unfortunately, that did not happen, for reasons of our own mistakes as Afghans, and for reasons of continued interference in Afghanistan from our neighbors, and for the reasons, in particular, of the neglect by the United States and the rest of the Western world – total neglect. When the Soviet Union left its forces from Afghanistan, when the Mujahedeen came to establish their government in Afghanistan, all the Western countries closed their embassies in Afghanistan and withdrew. All their assistance stopped to Afghanistan. But the neighbors were allowed to continue to interfere. The consequence of that was the disasters that we faced all around the world – in New York, in your own country, in Russia. 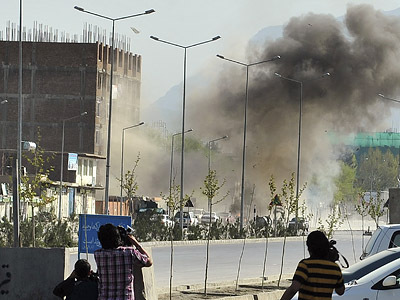 In Afghanistan, so much misery and bloodshed, and destruction of the Afghan life, property and livelihood. After September 11, 2001, when the United States and NATO and the rest of the international community suddenly woke up to the grim reality of world security and the plight of the Afghan people, they came to Afghanistan. The Afghan people joined hands with them. We drove the Taliban and Al-Qaeda away in less than a month-and-a-half. All the Mujahedeen leaders came back to Afghanistan – all of them, except Mr. Hekmatyar. He remained in Tehran, and then he went somewhere else. We have never called Hesb-e-Islami a ‘terrorist’ organization. It is not a terrorist organization. The Taliban – the Afghan Taliban – are not terrorists. That’s why I call them my ‘brothers.’ The Haqqani Network – part of them are engaged in terrorist activities right now, part of them are not terrorists. So this is a complex answer. It’s not an easy answer. We are right now in negotiations with Hesb-e-Islami. Their delegations have visited us three or four times. The last time we met with them was about 20 days ago. A high-level delegation came from Hesb-e-Islami, had detailed talks with us. We even showed them the draft of our Strategic Partnership Agreement with the United States, and they were surprised to find out that Afghanistan had gained so much in that partnership agreement. Those Taliban who are part of Al-Qaeda, who are part of terrorist networks, who are part of intelligence outfits working against the Afghan people are definitely terrorists. But the majority of them, who’ve been driven out of their homes, out of their country by circumstances, not in their hands – they are not terrorists. They are aggrieved, and they must be brought back, and they must be settled in their country. So the answer is, those who commit terrorism are terrorists, those who do not commit terrorism are not. Peter Lavelle, RT: Mr. President, you talked about past mistakes, let’s talk about the future. President Obama was here not too long ago on the anniversary of the death of Osama bin Laden, and there was always the talk of a withdrawal of international troops by 2014. But there’s talk about some kind of presence – and I’ll just say the word ‘presence,’ and I’ll let you tell me what it means – all the way to 2024. Now, I’m an American, and the American people don’t have the stomach for this conflict anymore. The National Intelligence Estimate says, at very best, Mr. President, you have a stalemate here – after 11 years. How do you expect the international community to stand beside you and your administration, when so little has actually been accomplished? HK: In terms of security, you may be right. In terms of the overall development of the country, great achievements have been there – we have achieved a lot. PL: But if you don’t have security, then what’s it worth? HK: No, I’m coming to that. Education, health services, roads, the economy, the Afghan currency, the value of the Afghan currency, the overall stability of Afghanistan, relations with the rest of the world – we have now the best of it, with neighbors and beyond. Security is an issue that is not related to us alone. That’s why the international community is here. Had it been an Afghan issue, the Americans would have never come here – as they didn’t before September 11th . PL: But if it’s an Afghan issue, what about the Afghan people: do they want – and this is what I hear all the time – the ‘occupation’ to continue? HK: It is not alone an Afghan issue, I said. It is not alone an Afghan issue. HK: It’s a Pakistan issue, it’s a neighbors issue, it’s the Western attitude’s issue, it’s Russia’s issue, it’s China’s issue, it’s India’s issue as well. It’s an Iranian issue. Therefore, when we speak of security, when we speak of security for individual Afghans in terms of law and order – it is an Afghan issue. But when we speak of security for Afghanistan in terms of terrorism and the War on Terror, it isn’t an Afghan issue: it is a collective issue of the international community, in which the international community has not done as well as it promised. PL: For 11 years they haven’t done enough?! Mr. President, for 11 years, and that much treasury, that much loss of life – and enough hasn’t been done?! PL: You’ll have to convince the American people of that. HK: That has not been done, because the focus, in our view as Afghans, was wrong. We’ve been saying for long that the war on terror cannot be and is not in the Afghan villages – that it cannot be fought in the Afghan villages and is not in the Afghan villages. PL: So, what kind of presence will foreign troops have in your country after 2014? HK: I will come to that, I will come to that. But the question is very important, therefore I will explain a bit further. That the war on terror can only succeed if we go to the sanctuaries of it, if we go to the motivational grounds of it, if we go to the training grounds of it, and if we address the root causes of it in other forms, in other ways. That has not been done. Therefore, it has not succeeded in a manner that we wished it to succeed. The presence of the international forces – if we are talking in particular of the American forces – after 2014 to 2024, based on the security agreement that we will be signing within a year from now, will depend, first, on the agreement between us and the United States on the modality, on the scope and on the obligations that the two sides will have. Second, on the purpose of it with regard to Afghanistan, and with regard to the War on Terror. So that is an issue separate from what is going on right now. That should be a continuity of the US presence in Afghanistan in a manner – much smaller, but in a manner between the two countries, and in relation to the overall struggle against terrorism. PL: OK, one last follow-up here. I’ve noticed you use the term ‘War on Terror’ very often. It’s very much out of fashion for the last four years in the United States. Do you like the term? HK: It is not out of fashion here. The United States now refers to the War on Terror as ‘insurgency’ – we disagree to that, completely. If this is an insurgency, then the international community has nothing to do in Afghanistan, then the international community is taking up a gun against one Afghan in favor of another Afghan. That’s interference in our internal affairs. And if it’s an insurgency, it is for the Afghans themselves to address, to settle down, to find redress to grievances, and to come to accommodation. 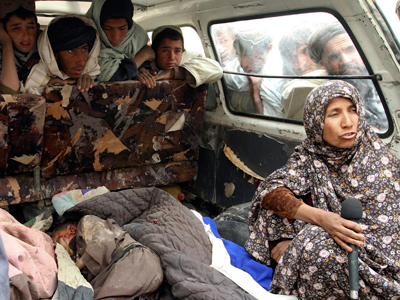 Therefore, we have never called it an ‘insurgency’ – it’s a Western term used in Afghanistan. We call it the War on Terror, or the struggle against terrorism. Yevgeny Poddubny: Mr. President, what do you think about the inter-ethnic conflict in Afghanistan in the future and about the danger of division of the country? HK: Well, Afghanistan is a very united country. Afghanistan is perhaps the most united country in this part of the world. Look, after 30 years of massive interference and wars, and conflict within the country, everybody is focused on Afghanistan and the capital, Kabul. Every Afghan wants to prove that he’s a better patriot than the other Afghan. So there is no danger of that. Yes, we are a multi-ethnic society. We are a diverse society, like many other societies. And that’s the beauty of Afghanistan: it’s a colorful country, of all those tribes and ethnic groups – but that’s our strength, that’s not our weakness. That’s exactly why Afghanistan is strong. YP: But you have problem between South and North? YP: The world thinks differently. HK: The factional conflicts a different issue. That was the result of the days of the Soviet Union and our resistance against the Soviet Union, and the interference from our neighbors, and our lack of ability as Mujahideen organizations to organize better and bring this country to peace. But there was never a conflict between the Afghan people. Look, all those people who were fighting one another in one way or the other – the Khalq and Parcham organization connected to the Soviet Union, the Mujahideen organizations backed by the West and Pakistan and the Arab world, the secular elements of Afghanistan, the clergy, those who fought one another during different wars – are now all sitting side by side in the Parliament of Afghanistan. They almost have neighboring seats there. So that's not the problem. Afghanistan is a united country, and a very united country. And the opposition to my government accuses my government of not being patriotic enough to defend this country. And some of them are from the North, some of them from the South, some of them are from the West. Within the government, the same rhetoric goes toward the opposition as they are not being patriotic enough. That's the least of our concerns, fortunately. Andrey Greshnov: The fact is, the Afghan army and police consist on the basis of Northern Alliance. There are only 10 percent of Pashtuns serving in your national army, I know it for sure. 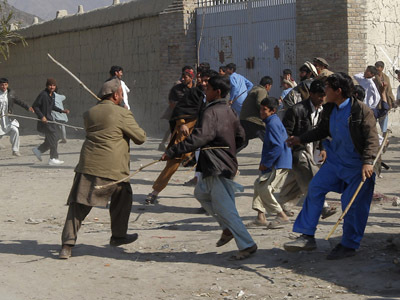 PL: The groups of the so-called Mujahideen, Taliban and so on, consist of about 80 to 90 percent of Pashtun nationals. So why don’t Pashtuns want to serve in the Afghan National Army? HK: I don't know who gave you this figure. That's not true. Just the day before yesterday, I was talking with the Minister of Defense, and he will be coming by the way in a few minutes here, because we have a meeting with the Belgian Deputy Prime Minister and Defense Minister, you can ask him that question just in a few minutes. The ratio of ethnic representation in Afghanistan's army is largely balanced. I cannot say 'entirely balanced', but largely balanced and improving. So 10 percent for the Pashtuns is not the right figure, it's way above that, it's probably close to 42-43 percent representation in the National Army of Afghanistan, in the police force, and other forces. So that figure – whoever gave it to you, isn't true. The Mujahideen forces, you said, were largely Pashtun, that's also not true. The Mujahideen forces had people from all over Afghanistan. There were people from all the provinces of Afghanistan, and the entire country of Afghanistan. The late Professor Rabbani, who led the Jamiat organization (the Jamiat-e-Islami party), was from Badakhshan himself. But he had people in his organization from all over the country. Mullah Naqibullah, one of the biggest Mujahideen names in Afghanistan, was from Kandahar, was from Professor Rabbani's organization, worked with Professor Rabbani's organization. Ismail Khan was from Herat, who is now the Minister of Energy with us, and others from the rest of the country. So no, the Mujahideen had representation from the whole country, from our Shias, our Sunnis and our various ethnic groups. PL: Mr. President, you talk about the unity in your country and the unity of different kinds of people. Be that as it may, I’m not an expert on domestic affairs of Afghanistan, but I would surely propose to you that the desecration of Qurans, the use of body parts of deceased for trophies as American soldiers have taken pictures of them, put them on the Internet – it would seem to me that this diverse country that you have has united against an occupation that insults the traditions and values of this country. Honestly speaking, sir, your greatest ally is the United States, and it's the American troops in your country doing these really extraordinarily disgusting things, like urinating on corpses… I am from the United States, and there's nothing in my country's culture that tells me that's why. What happened to them here? HK: I don't know what happened to them here. This is, perhaps, a question that Americans should be asking themselves. PL: I hope so, they certainly should be. HK: Terribly wrong, in these patterns of behavior. PL: But it is a pattern, sir, it’s a pattern over the years. I was talking to someone at the airport… One month passes now, then we get some kind of incident like this. Again, I'd like to stress, this is your most important ally in the world. HK: I'd like to come to that. We had a lot of tension between the United States and Afghanistan over these issues. Our relations almost went to the bottom because of these issues, because of civilian casualties, because of support to private security firms, because of these incidents of violations, because of other similar activities that Afghans felt wrong, because of issues that brought our relationships under extreme stress and tension. And we've been talking about this, and I hope there will be an improvement in that. We are allies, we’ve just signed the Strategic Partnership [Agreement], but that doesn't mean that the wrongs should continue, and the right should not be thanked. No, we will continue to criticize when there is a mistake, but we will also thank them when there's something good done. PL: Yes, but there is a difference between US troops, in uniform, identifiable – and then we have Blackwater, to use a short term. If we're looking at the next 10 years, 12 years in this country, to what extent – and I would call them ‘paid mercenaries’ – how much are they going to be at your defense to protect your administration and your successors? PL: You're saying, the mercenaries like Blackwater will not play a major role in the security of this country? HK: Absolutely not. This is one of the issues over which we had immense tension. PL: But they will be here. HK: Not as far as the Afghan government is concerned, no way. HK: No way. No way. No way to the private security firms. We now have an agreement with the United States on that. We worked hard and in an extremely tense environment where the US media kept abusing me about it for years. We have gotten rid of that arrangement in Afghanistan, and we will see to it. PL: What about the arrangement for drones – now, or over the next 12 years? HK: Drones aren't our business. PL: It isn’t your business when people on the border are being killed? HK: It is an American business, and the drones are used in Pakistan. I as an individual and a pacifist, I am in no way in favor of the use of military equipment. And the Afghan territory is not used based on our agreement. The drones were used primarily from the Pakistani territory itself for years. Now I don't know what the arrangement is. So the drone issue isn't an Afghan issue. It isn't an Afghan issue with the US. It's a Pakistan issue with the US, and if there's any other country involved in it. It has never been done in our knowledge. It has never been done by asking us that they were going to do a drone attack. It has never been done based on a permission from Afghanistan. It's an issue that we are not involved in in any manner, whatsoever. YP: Mr. President, you would like to close all private security companies. But we all know that in Afghanistan, there's a high corruption level in the police, and the police will secure foreign people, the government places and the strategic places. What are you going to do with this situation with corruption in the police? HK: The police in Afghanistan have just formed, after many years of total destruction of these institutions. Under the circumstances, it's doing very, very well. Look at the immense sacrifice they make every day. Every day there is an Afghan policeman dying somewhere, either protecting an embassy, or protecting a house, or protecting a street, or protecting the border. The policemen who died near the Russian embassy a few days ago – they were protecting. It wasn't a private security firm that did that, it was the police. So the Afghan police is paying a heavy, heavy price for the protection of Afghanistan, and for the protection of the diplomatic representation here in Afghanistan. Private security firms are no answer to state protection. Therefore we will not ever accept the presence of private security firms. We have established a Public Security division, branch within the Ministry of Interior, that will look after projects, that will look after diplomatic missions, that will look after different interests, other than diplomatic, commercial and others, for the international community here in Afghanistan, by the Afghan police force. YP: But the people who now work in private security companies – they can shoot people and all. What will they do after you close these companies? HK: They should leave. That chapter has already been closed. HK: Yes. That chapter has already been closed. PL: Are you saying there are no paid private security forces in your country right now? HK: There are paid private security forces right now in my country. PL: And their function being today..? HK: Their function being protection of the diplomatic missions, and protection of security projects and NATO convoys. But that has been closed officially for us, and it is in the process of being transformed and given to the Afghan national police for which we have created a separate department to fulfill the objectives that we have. YP: Sorry, but where will these people work – in the police, in the army – those who are now working in private security companies? HK: Some will be taken as part of the police, those who are willing, others can go back to other walks of life. This has been agreed – we have made an agreement with the US on this. And almost every Security Council meeting has a briefing about the progress in this regard. This is a very important, highly touchy issue for us. AG: Mr. Karzai, I’ve spent a lot of time in Afghanistan: about 14 years, from the very beginning of the April Revolution. And I know for sure that poor people like Russians and don't like Americans. If we compare ten years of the Soviet presence and 10 years of the American-NATO presence, what period was more fruitful for Afghanistan, which was worse, and why? HK: The ten years of the Soviet Union and the ten years of the Americans? Alright, I'll give you a very frank opinion. Before the arrival of the Soviet Union in Afghanistan in the form of an invasion, the Soviet Union was one of our best partners, historically. They provided the best of developmental projects to Afghanistan. They provided the largest number of educated people to Afghanistan. 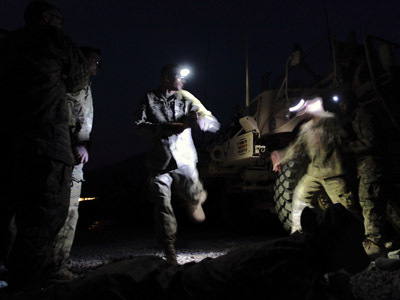 They provided a large-scale assistance to Afghanistan. During the Soviet invasion of Afghanistan, the people of Afghanistan en masse rose against that invasion. That’s why they were nearly 8 million refugees in Iran and Pakistan. And the resistance against the Soviet Union was legitimate in the eyes of the Afghan people. That's why every Afghan was there and fought it. I will come back to this part again. After the American arrival in Afghanistan, millions of refugees came back to Afghanistan, all the Jihadi leaders came back to Afghanistan, all the Afghans who were diaspora around the world came back to Afghanistan. The economic development of Afghanistan was much better during this period. The presence of NATO and the United States was legitimate and accepted by the international community. Russia was part of that decision in the Security Council to send the forces to Afghanistan. So this is an entirely different question. But when we speak of capacity building, the American presence has brought us capacity building in economic, education and social sectors. The Soviet presence in Afghanistan at that time brought us capacity in military build-up. They did very well with us. When the Soviet Union left Afghanistan, Afghanistan had more than 450 planes of all types, helicopters, fighter jets, and a great capacity, and thousands of tanks and armored vehicles. So in that aspect, the Soviet Union was a formidably strong ally. It also trained thousands and thousands of Afghans in different walks of life. 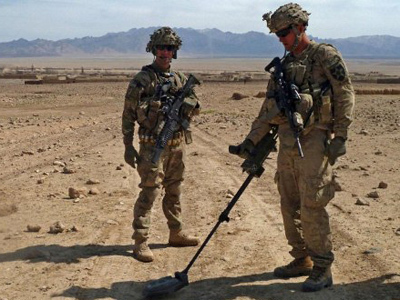 The Americans have not been so good on providing the Afghan army with the equipment that we need. And we hope they will do that. PL: There are insurgents, they are armed, however you want to describe these people, they are causing trouble for you, you need to sit down and talk to them. And then throw in Pakistan. And what kind of relationship do you want to have with Pakistan, moving forward? I've always liked to stress to my guests that Pakistan and Afghanistan aren't going anywhere. They are neighbors. And you don't choose your neighbors, they are just there. What kind of relationship do you want to have with them? HK: Just like Russia is a neighbor. HK: We should have the best of relations with them. This is a fundamentally important question. 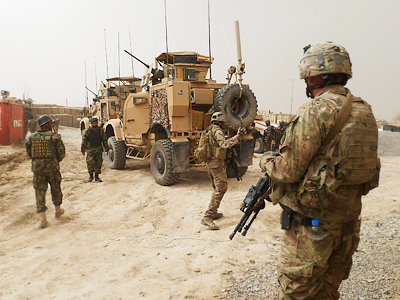 Afghanistan will have to live with its neighbors long, long after the US and NATO have gone. And we are very aware of this. We recognize it in the depth of our hearts. And that's why we are trying our best with our neighbors. Look at our relations with Iran. In spite of all the odds, we've kept it the best. In spite of all the odds, we've paid a heavy price to keep our relations the best with Iran. And in spite of all the difficulties, all the terrorist attacks on Afghanistan, all the sanctuaries, all the problems in Pakistan, all the attackers that come from across the border into Afghanistan, we've kept a very strong dialogue with Pakistan alive. We've kept very strong efforts to have a strong relationship with Pakistan. And I've visited Pakistan more than all the other Afghan leaders in the past 60 years, since the creation of Pakistan. So we are aware of this, and we are constantly in a strong dedicated effort to do well with Pakistan and with our other neighbors. PL: But at the same time, there is a complicated relationship between the US and Islamabad as well, because you have your Taliban, they have their Taliban. The military in Pakistan has one foreign policy agenda, its civil authorities have a different agenda, and different types of relationships with the US. And lo and behold, your country is in the middle of it all. HK: Well, in spite of all that, we've done well with our neighbors. We recognize the problems between the US and Pakistan. Those problems do have an impact on us. PL: They call it AfPak for a reason. HK: They do have an impact on us, and Afghanistan is affected by it, both ways: from a Pakistani perspective and from an American perspective. But we have issues. We don't see our relations with Pakistan from an American perspective. We don't see our relations with Iran from an American perspective. We don't see our relations with Russia or China from an American perspective. Afghanistan has been able, in spite of all our needs, if I can put it in short words, in spite of all our dependence on the US and NATO, we have developed an independent foreign policy and an independent form of relationship with our neighbors. And that will be kept, that will go on. Having said that, yes, it cannot be without an impact, either from a Pakistani perspective of America towards us, or from the American perspective towards Pakistan, and the impact on us. And the same goes to Iran, to Russia. But we will try to keep it at best, as we can. 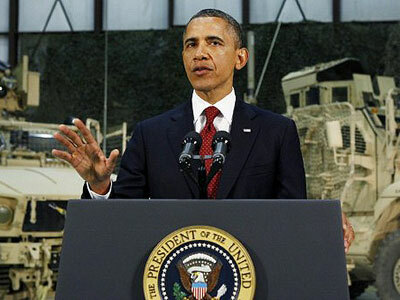 YP: Mr. President, a question about the financial problems in Afghanistan. Now all the money in the country is foreign money. What are you going to do with this? The people are very poor, and they do not see any prospects. HK: In 2002, the Afghan income per capita was a meager $180, today, it's nearly $700 – because of the international assistance to Afghanistan, and because of the growth of the Afghan economy. The withdrawal of the international forces from Afghanistan in 2014 will have an impact, no doubt, economically. But the overall effect of the withdrawal of these forces will be good on the Afghan people and the Afghan economy. We have to live by our means. We cannot depend for the whole of our life on others. Therefore, regardless of the impact, we must go forward. But the impact will not be great. The Bonn Conference made a commitment to Afghanistan to continue to support Afghanistan's shortfall in revenue in budgetary arrangements, and will continue to assist Afghanistan's reconstruction. PL: Mr. President, doesn’t that create a slippery slope? HK: I'm coming to that. PL: …It's called moral hazard. If you always say, oh, we have a safety net, NATO and our friends will help us. It's called moral hazard, and it's one of the criticisms of that approach. HK: No, no. That's one of the aspects. Second, we will have the Chicago Conference that will make a commitment to our security forces for the next ten years after 2014 in the form of $4.1 billion. Third is the growth of the Afghan economy, commensurate with the reduction of the forces, and commensurate with the pace the things will have after 2014. We have this year collected more than $2 billion of revenues, by the way. The income from our mineral resources is increasing. By the time we are in 2024, Afghanistan will definitely be in the range of nearly $5 billion of revenue collection. So Afghanistan will do well, and when peace comes, and I hope so, if peace comes to this region, and we are connected all – Russia, Pakistan, Afghanistan, Iran, India – Afghanistan will be the center of all that activity, a crossroads. PL: Do you want that to be your legacy? HK: Absolutely. With the greatest desire, that's what we are trying for. PL: But I am asking you what you want your personal legacy to be. HK: My personal legacy as an individual, I'd like to leave office where I have guaranteed the right of the Afghan people as an independent sovereign democratic country where the rights of the Afghan people are protected by their own government, and not violated by other governments; where Afghanistan moves forward on the path of progress and education; where Afghanistan has the best of relations; and where, most important of all, and which I have achieved and which I am very happy about, that Afghanistan is the home of all Afghans. PL: On that note, thank you very much, Mr. President, for speaking to Russian media. HK: Thank you, gentlemen. Most welcome.